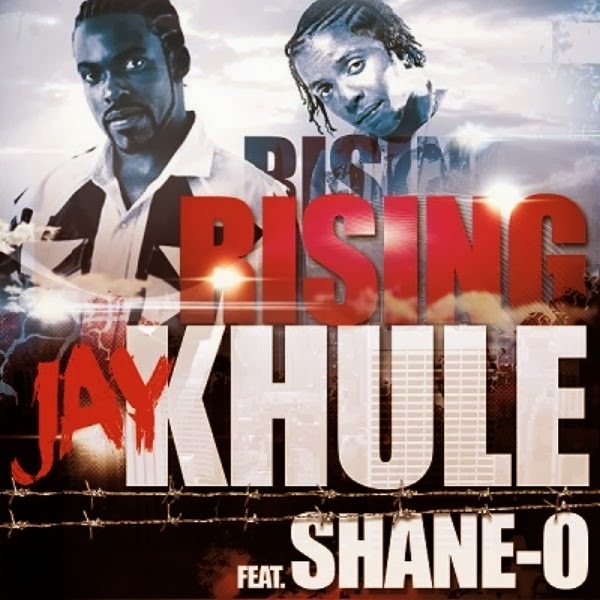 Reggaediscography: JAY KHULE drops new song "Rising" featuring SHANE-O: listen! JAY KHULE drops new song "Rising" featuring SHANE-O: listen! Singjay Jay Khule makes quite an impression with his latest single Rising which features dancehall artiste Shane O. The track which Jay Khule produced himself is an autobiographical tale outlining the struggles and his will to make it in life. The 27 year old entertainer was born Jerome Reid in St Mary, Jamaica but at the age of eleven he relocated to Anguilla with his mother shortly after the death of his father. Music has been his outlet to share the experiences that he has been through. "When I lost my dad, my struggles through life began. During my early childhood years I travelled on foot many miles to school. After moving to Anguilla I spent my teenage years working in the field learning various trades including wood work, landscaping, fishing, construction and dealing with livestock. Music has always been my first love and it has inspired me in many ways", Jay Khule said in a release to the media. Jay Khule is a born again Christian. He participates in several community projects and gives of his time in various organizations. "When I was twenty I discovered not only my love for music but that I had a hidden talent in singing. Soon after I began composing and recording my own tracks in reggae and rhythm and blues. The art of music has now become my life and passion and my goal is to spread a positive message to the world through song", said Jay Khule. Relocating to Anguilla, Jay Khule realized it wasn't easy trying to adjust to the cultural difference. "It was difficult at first but as time went by, I got adjusted to the lifestyle in Anguilla", he explained. Jay Khule, who is presently in Jamaica working on musical projects, said the collaboration with Shane O came about through connections he made. He said the response to the collaboration has been positive to date. Having made his recording debut in 2009 with the self-produced Home Affairs, he pointed out that the musical journey has been very inspiring for him. He said producing positive music to impact the lives of the youths and to motive them is of significance to him. He also noted that Home Affairs and Unruly were among his more familiar work. To date he has worked with producers including Richie Loop and Chris Gold. Jay Khule is currently in the studios working with producer Adrian 'Donsome' Hanson. He has a number of projects to be released over the next couple of months.